Just under a month ago, Google released a really large ad format - 300x600. 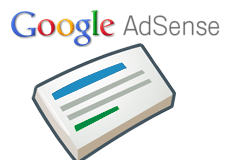 The new ad format, as Google said, is "brand friendly" and is also typically called a half page unit. What started happening was that publishers started putting up to three of these ad units on their pages, leaving virtually no room for content. So Google announced a change in policy to just allow one of the 300x600 ad units on a page at a time. You can have up to three ad units on a page, but only one 300x600 unit is allowed on the page. If you added multiple, you have until January 10, 2013 to remove it. Because this new format is larger than all our other ad units, we want to help ensure a balance between content and ads across publisher sites. With this in mind, going forward, publishers will be permitted to place a maximum of one 300x600 ad unit on each page. If you've placed more than one 300x600 ad unit per page on your site, we ask that you remove any additional ad units by Jan 10, 2013. We'll also be sending email notifications shortly to affected publishers, asking them to make this update.